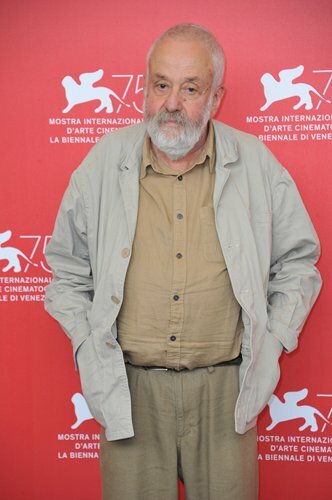 British director Mike Leigh first turned his hand to historical drama with Mr Turner in 2014. Now, the 75-year-old Leigh - feted for films such as Secrets & Lies, Vera Drake and Abigail's Party - is returning to the 19th century with a retelling of Britain's Peterloo massacre. Leigh believes his latest film holds lessons for the present day - in everything from austerity and apathy to authoritarianism and Brexit. The Oscar-nominated film-maker said Peterloo, depicting the deadly and tumultuous 1819 assault on pro-democracy protesters at St Peter's Field in the northern city of Manchester, remains relevant in our "worrying times." "Given the speed with which chaos has been ensuing not only in the UK... in this period... it does resonate," Leigh told AFP on Friday ahead of the movie's release in Britain next month. "People were protesting about the vote but also about their living conditions, and we know that's got parallels [with today]," he added. Nonetheless Leigh is eager for audiences to make their own minds up on the lessons to be learned from Peterloo. "I've never made films that say 'think this,' what I'm doing is inviting you to reflect," he said. "The audience can only decode and deal with the film in terms of your 21st century life - there's no other currency you can convert it into." The social movement centered movie, set for release outside Britain next year, hits screens as the #MeToo campaign continues to flourish - something Leigh is celebrating. "It's astonishing that these things are only just being confronted now," he said. "It's outrageous and it's great that finally people... get in there." Peterloo is the most expensive film Leigh - an Oscar contender five times, including for Secrets & Lies, abortion drama Vera Drake and most recently Another Year - has ever made. It chronicles, over two and-a-half hours, the parliamentary reform movement that swept impoverished northern England in the early 19th century, when only 2 percent of the population were allowed to vote. "It's about democracy, it's about people being heard. It's also about those in power and those who have no power, and those who have and those who haven't," Leigh explained. Discontent was stoked by austerity measures in the aftermath of the costly Napoleonic Wars. They included the much-hated Corn Laws putting tariffs and restrictions on imported food and grain to keep prices high and favor domestic producers. The film culminates in the Peterloo massacre - named after the bloody Battle of Waterloo four years earlier - when troops on horseback charged into crowds of at least 60,000 people, killing 15 and injuring hundreds. Although the protesters' demands took many decades to be fulfilled, Leigh said the tragedy "is generally regarded as an important landmark in the history of British democracy." Fast-forward two centuries, he says, and those who took to the streets then would be dismayed by the apathy of modern-day Britain, where around a third of voters typically fail to turn out at elections. "They would be horrified, shocked and frankly disgusted by the fact that people have the vote now and don't use it," Leigh said. The filmmaker added that his 19th century time travelers might also recognize aspects of their political world in today's Brexit-dominated landscape. "It's a rambling, shambling mess, and to some degree... the situation 200 years ago was also a rambling shambling mess," Leigh said. He sees particular peril for the film industry in Britain's departure from the European Union next March - from no access to grants to fewer continental collaborations. "European cinema has an identity which I am very passionate about being part of," he said. "It will become very difficult," he noted. The veteran director, who recently became a grandfather for the first time, is also concerned by a host of other global issues, from the treatment of migrants to overpopulation. The 75-year-old said that landmark, paired with making a drama set 200 years ago, had forced him to take a long view. "I think about my grandson and what will the world be like in 2100," he admitted. "It's very difficult not to start to be a bit on the pessimistic side," he explained.